Childhood memories of visiting this place is a given for most adults from South India - it ranks high in the list of excursion spots and family outings. While the popularity is well-earned because of a number of world-class attractions, the infrastructure supporting it has always been in the doldrums. The result has been that for most people visiting the area, exhaustion and dreariness often ended up being the adjectives primarily used when talking about the visit. The infrastructure part has only improved slightly since that time although the good news is that some of the issues can now be sidetracked, especially if you are willing to loosen the purse a little. Although the distance from Trivandrum is less than 100KM, it can take up to three hours to get there because of the condition of the roads. Accommodation options abound but none can be termed even three-star. The most comfortable option is Sparsa Resort while the best value-for-money is the government run Hotel Tamilnadu. 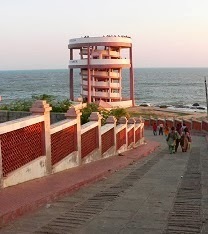 Both are located along Beach Road and have sprawling views of the ocean. 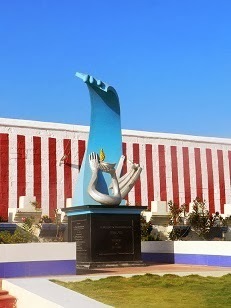 Hotel Tamilnadu is closer to most attractions - nicely placed between Sunset Point Tower and the Lighthouse. 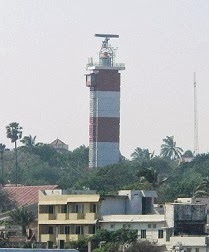 Coming from Trivandrum, spotting both these places is easy as access is from the main road - for Hotel Tamilnadu, turn Right next to Lighthouse entry to get into the property. Hotel Tamilnadu has a stunning location but Sparsa still steals the show as they promote more of a resort setting. 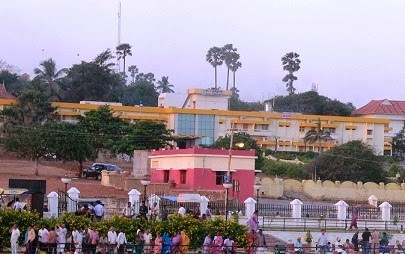 Hotel Tamilnadu suffers from bureaucratic problems that most government establishments face. 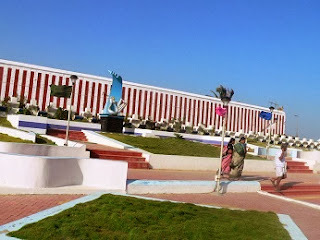 If you overlook those, the experience can be quite good - The Double AC rooms on the main building and the cottages offer good views as the buildings are located on a hillock within the 10-acre property - there is an onsite restaurant but room-service is the only real option as service at the restaurant is non-existent. Room Tariff is an outstanding value, as the pricing goes down from Rs 3000 (including all taxes) for the deluxe cottage to the Rs 1000 range for a non-AC room. Kanyakumari lacks good restaurants as well: decent options include the restaurant at the Sparsa Resort further up (walkable) on the same road (Seashore Road) from TTDC hotel, the restaurant on the 7th floor of Seashore Hotel (has a good ocean view facing Vivekananda Rock and has a bar license), and the Seaview Hotel Restaurant. Seashore road is almost always chaotic and crowded with street vendors and hawkers. But, walking along that road is still the best way to get to all the major attractions. Very close to the hotel on this road on the same side is the wax museum and aquarium - they are OK to visit, if you need to kill some time. Sunset Point is right across from the hotel and there is a viewing tower right on the beach (nominal fee applies). Walking a few furlongs on Seashore Road gets you to Sunrise Point, in-front of the beautiful Tsunami Monument. 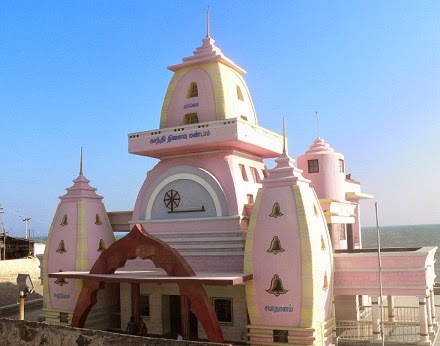 Kumari Amman Temple and the Gandhi Memorial are also en-route. Both these places can be given a miss unless you are religiously or patriotically inclined - the Gandhi Memorial is really a disgrace to Indians as the place is very rundown - the facade however still looks nice. Although Kanyakumari has a lot of ocean frontage and warm water, swimming is not really an option. The beaches are rocky and the whole beach frontage in the tourist areas are walled off - part of the work done following the 2004 Tsunami. Beach access is present further up the coast-line. One thing to be aware if you wander away from the main tourist area is that you may get stopped by locals asking for an “entrance fee” of Rs 20 or so - you can either stop and pay the money or just ignore them and drive through. 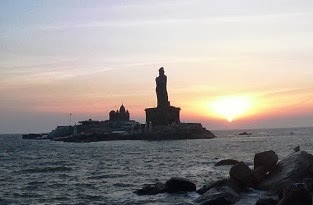 The other prime attraction in Kanyakumari is the twin monuments of Vivekananda Rock and Thiruvalluvar Statue. 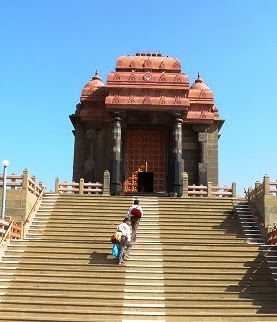 The monuments are located on two adjacent islands (giant rocks really) just off the coast of Kanyakumari. 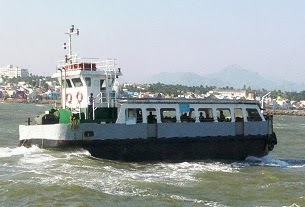 The attractions are accessible only by boat and the service is run by the government. Getting to the place involves buying tickets (Open 9AM to 4PM) and waiting in a very long line for the next boat to arrive. On a typical day, the wait can easily run upwards of three hours. The ticket pricing is at Rs 30. An alternative is to buy the privilege of cutting in front of the line for Rs 150 (special ticket). If you go by this option, the average wait is only around 15 minutes, as you are taken by the next boat - you still have to get in the regular line for the return journey and so the privilege applies only one-way. The ride is a very short ten-minute journey but the sea is very rough. Once you get to the rock, there is another Rs 10 ticket to enter the memorial premises and one has to walk on bare foot (there is a locker facility) - the hot sun can really burn your feet, if you wander outside the painted pathway. The views from the rock are stunning and the place is very serene and well kept - there are no eateries and food is not allowed either. There are two buildings on the rock and photography is restricted inside them - meditation is the main idea here. There is a sunrise direction map on the side of the rock adjacent to one of the buildings and that depicts the spot of sunrise for the entire year. 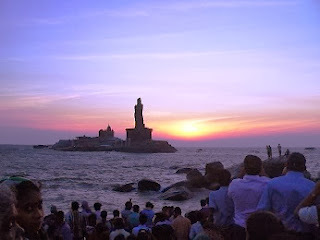 The return trip drops you off first at the adjacent rock that hosts the Thiruvalluvar Statue. There is nothing to do there other than to admire the architecture and the setting. The lighthouse is supposedly open from 3-5PM but when we went there around 4:15PM, it was closed. So, we had to give it a miss. 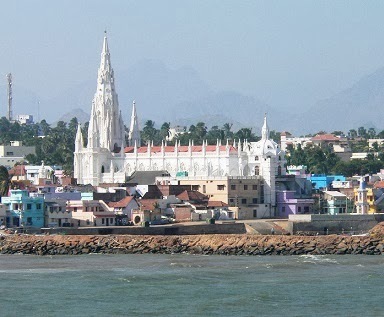 Another option to consider is the “Our Lady of Ransom Church” - the structure is beautiful, the inside is stunning because of its vast emptiness, sand-floor, and the beautiful statue of Mother Mary clad in a sari. The street vendors throughout Kanyakumari has interesting curios on offer - most of the items are inexpensive and the most popular are the Seashell curios, especially the Shanku - they can inscript your name on it for a small fee as well. 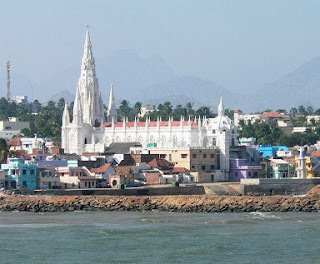 Overall, two days with an overnight stay is amble to cover the attractions in Kanyakumari. 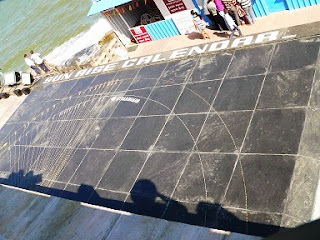 Kanyakumari (Cape Comerin) Trip Report. Mathur Aqueduct & Thirparappu Falls - Trip Report.